2018 is set to be a revolutionary year in recruitment. With technology only improving, flexible working becoming more popular and data compliance growing in importance, there is set to be plenty of moving and shaking. We look at some of the trends that will dominate discussions over the next 12 months. Over the last few years, as candidate expectations grow and change, the concept of flexible working has continued to gain momentum. In fact, according to a study from Pownowow1, 58% of people believe that working away from the office would help their motivation and 70% find that the option of flexible working would make a role more attractive. Therefore, businesses will need to adapt their policies to compete on a level playing field. It’s not all about the employee though – the same study revealed 77% of employers found flexible working led to a better work life balance and more motivated staff, increasing productivity. Automation is streamlining everyday recruiting processes, including CV screening, web scraping and application updates. AI technology will be able to filter through CV submissions, learning what any particular job’s requirements are and what qualified candidates look like. This will free up recruiters to spend more time on personality and cultural fit, resulting in a closer match. AI and automation can also help with maintaining schedules, removing any human bias and keeping candidates in the loop through chatbots, push notifications and automated emails. As geography becomes less of a concern (see flexible working, above), video is becoming increasingly important in both the recruitment process and the workplace. Augmented and virtual realities are set to become more popular, with innovative developments like VR workplace experiences, VR assessments and interactive job ads. Facebook, Apple and Google are all competing against each other in this market, so developments are expected to be fast and furious. Soon enough, candidates in the US will be able to take a VR tour of their future workplace in Europe, or participate in a ‘day in the life’ scenarios, which can provide clearer examples of company culture. As generation Z enters the workforce and millennials move up the career ladder, the traditional methods of eliciting company culture are being replaced by social media searches. 67% of jobseekers are using Facebook, LinkedIn, Instagram and Twitter to gain insights into company culture2, so businesses will need to ensure that their social networks are relevant, appealing and informative. On the other side of the coin, social media also offers recruiters a chance to tap into the passive candidate market, get selective about who they are targeting and screen any potential applicants. Diversity may not be a new topic, but it continues to be an important issue for businesses heading into 2018. Companies will need to start seriously considering hiring strategies that result in varied workforces, ensuring that a wide range of genders, ages, races and religions are represented. These strategies could include promoting inclusive language in the hiring process, assessing blind CVs and asking employees for referrals. Moreover, offering benefits such as on-site or subsidised childcare, flexible working arrangements or the accommodation of cultural and religious holidays could encourage a wider range of applicants. However, it’s not just about diversity in the recruitment process – to ensure high levels of retention, the concept should also be implemented within the existing workforce. The introduction of GDPR legislation will affect every European industry, including recruitment. We expect to see plenty of data management and compliance roles arise in response to businesses needing to clean up and maintain their databases. How businesses use personal data will also be in the spotlight, so we’ll all need to review processes to make sure we adhere to the new regulation. Despite this staggering adoption, the recruitment industry has yet to take full advantage, with many websites still not optimised for mobile. In 2018, we expect this to change, with recruiters and employers endeavouring to make applying on the go as easy as possible –1-click applications and LinkedIn Easy Apply are just two of the initiatives that have already hit the market. The UK is currently experiencing the lowest unemployment rate since 19756, so high-quality candidates are in short supply. This means candidate care is more important than ever. 85% of jobseekers said they would be unlikely to use a recruiter again after a bad experience, so making sure there are clear lines of communications throughout the entire process is key. Integrity, honesty and empathy also go a long way in leaving a positive impression. 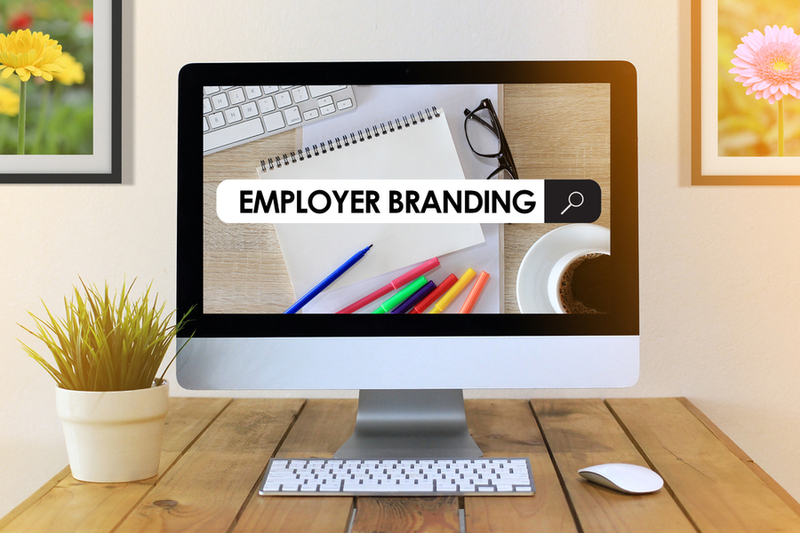 Of equal importance is the way businesses present themselves – in a competitive market, ensuring a brand is attractive and consistent is paramount to ongoing candidate interactions. What do you think of our round-up? Is there anything we’ve missed?